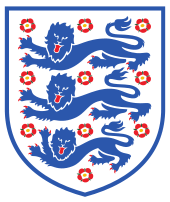 England national under-18 football team, also known as England under-18s or England U18(s), represents England in association football at under-18 age level and is controlled by the Football Association, the governing body for football in England. The team is coached by Neil Dewsnip, the Football Association's Technical Lead for the 17-21s age group, assisted by Dan Micciche, Technical Lead for 12-16s. Players born on or after 1 January 1998 will remain eligible until the end of the 2015–16 season. Names in italics denote players who have been capped by England in a higher age group. The following players were named in the squad for the friendly matches against South Korea in June 2016. The following players have also been called up to the England under-18 squad and remain eligible. INJ Player withdrew from the squad before any games had been played. 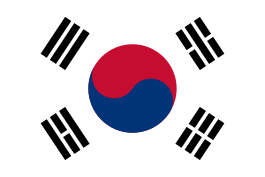 1 2 3 "England Under-18s squad to face South Korea near Seoul in June". The Football Association. Retrieved 20 May 2016. ↑ "Alfie Whiteman". Tottenham Hotspur FC. Retrieved 24 August 2015. ↑ "Jay DaSilva". UEFA. Retrieved 24 August 2015. ↑ "Easah Suliman". UEFA. Retrieved 24 August 2015. ↑ "Ro-Shaun Williams". Manchester United F.C. Retrieved 30 August 2015. ↑ "Danny Collinge". UEFA. Retrieved 24 August 2015. ↑ "Josh Grant". Chelsea F.C. Retrieved 20 May 2016. ↑ "Hayden Coulson". UEFA. Retrieved 20 May 2016. ↑ "Nathan Holland". UEFA. Retrieved 24 August 2015. ↑ "Tayo Edun". UEFA. Retrieved 24 August 2015. ↑ "Antony Evans". Everton FC. Retrieved 16 March 2016. ↑ "Under-18s Profiles". West Bromwich Albion F.C. Retrieved 20 May 2016. ↑ "Marcus Edwards". Tottenham Hotspur FC. Retrieved 24 August 2015. ↑ "Isaac Buckley-Ricketts". UEFA. Retrieved 16 March 2016. ↑ "Lukas Nmecha". UEFA. Retrieved 16 March 2016. ↑ "Paul Woolston". Newcastle United FC. Retrieved 24 August 2015. 1 2 3 4 5 6 7 8 9 10 11 "Neil Dewsnip names his Young Lions for Dutch double". The Football Association. Retrieved 24 August 2015. ↑ "Will Huffer". UEFA. Retrieved 24 August 2015. ↑ "James Yates". UEFA. Retrieved 24 August 2015. ↑ "Trent Arnold". UEFA. Retrieved 24 August 2015. 1 2 3 4 5 6 "England MU18s squad named for Austria and Ireland clashes". The Football Association. Retrieved 16 March 2016. ↑ "Demeaco Duhaney". UEFA. Retrieved 24 March 2016. ↑ "Kaylen Hinds". UEFA. Retrieved 24 August 2015. ↑ "Daniel Wright". UEFA. Retrieved 30 August 2015. ↑ "Ben Sheaf". UEFA. Retrieved 24 August 2015. ↑ "Marcus Wood". UEFA. Retrieved 24 August 2015. ↑ "William Patching". UEFA. Retrieved 24 August 2015. ↑ "Herbie Kane". UEFA. Retrieved 24 August 2015. ↑ "Jacob Davenport". UEFA. Retrieved 16 March 2016. ↑ "Chris Willock". UEFA. Retrieved 24 August 2015. ↑ "Kazaiah Sterling". UEFA. Retrieved 30 August 2015. ↑ "Stephy Mavididi". UEFA. Retrieved 24 August 2015. ↑ "Ike Ugbo". UEFA. Retrieved 24 August 2015.